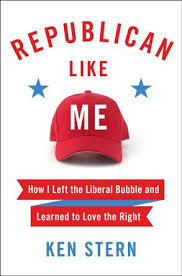 In this episode, Jason interviews Ken Stern about his recent book, Republican Like Me: How I Left the Liberal Bubble and Learned to Love the Right. The conversation touches on a lot of themes surrounding the 2016 election, as well as the way forward for liberals and the Democrats. Enjoy! Happy Holidays!